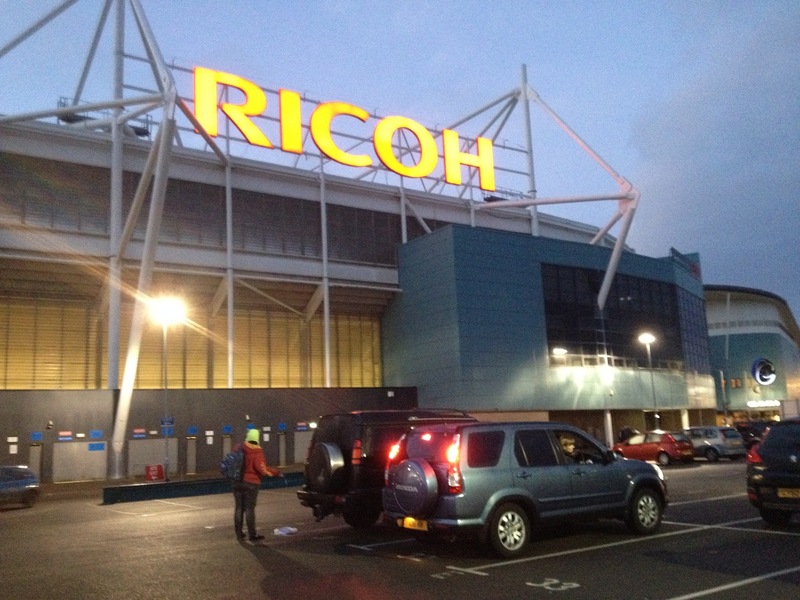 The competition is held over 2 days at the Ricoh Arena, Coventry – Juniors shooting on Saturday 7th December, Seniors on the Sunday. The Juniors shot Portsmouth rounds while the adults would be shooting a qualifying round (FITA 18), followed by Indoor Match rounds for eliminations followed by Olympic head-to-heads for finalists. After a bit of a bun-fight to get into the hall, registered and assembled for shooting, competition started. The noise of so many arrows hitting home is strange – starting first in a trickle then building to something like a roar as everyone releases their 3 arrows…amazing. As the juniors and seniors alike discovered, those powerful footlights may have improved the visibility of the target but introduced other issues – the upward throw of bright light created strange shadows, shifting perception slightly and causing vertical sight marks to basically drop. After collecting arrows, shooters had to be careful of not only tripping on the taped-down cables but also inadvertently glancing into the lights themselves – easily strong enough to temporarily blind the unwary! Lenni Canham placed 7th with 546. Luke Morgan placed 32nd with 464. Josie Skinner placed 15th with 496. Charlie Deeks placed 8th with 512. Jordan Johnson placed 13th with 492. Reece Johnson placed 3rd with 536. Lauren Bann placed 2nd with 539. Helena Milne placed 22nd with 304. The senior team of Grant Hannan and I took up position for qualifying amongst some extraordinary talent: over 160 archers aiming for a place in the head-to-head elimination rounds. Grant unfortunately suffered impaired vision – a result of spectacle glare caused by those foot lights and the strange overhead lighting. Having removed his glasses, shots began to wander off line and scores dipped – such a shame having put in a lot of practice (over 1000 arrows!) in the week before the competition. I’m sure there was compensation however, in claiming a FITA Star and catching up with his old shooting mates from Zimbabwe. Grant ended shooting 510 to reach 93rd place – well done, Grant! I shot well enough in the qualifying round to place 22nd with 551 and, having made the cut for the 1/16th head-to-heads, was drawn against GB squad member George Harding. General terror at being in a totally unfamiliar scenario and shooting against one of the UK’s best archers put paid to my ambitions: knocked out in straight sets by some awesome shooting from George (who later went on to win the overall competition and title!). All in all a fantastic showing for Rayleigh Town! (ps after discussing it with Grant, we believe there to be some scope for trying to replicate this kind of competitive environment during our regular club practices. We think head-to-heads need to be practiced, with timing etc, in order to prepare for the many pressures of these shoots, both indoors and out. Grant has undertaken to build a timing system and we’ll think of implementing some practice at Deanes). Three of our shooting stars travelled north to Welbeck Hall in Nottinghamshire to compete in the 1st Junior UK Masters, a tournament for Junior Master Bowmen similar to that for the Seniors. Lenni Canham, Lauren Bann and Rebecca Griffin took up the challenge against archers of varying age groups who were all placed together in the general pool – distances appropriate to the archer’s age would be shot in a ranking round (6 dozen arrows, max score 720) and then a Head-to-Head bracketting competition to determine the overall winners of each category. This format is very similar to the current World Cup and Olympic format and makes for exciting, if a little daunting, competition. It also meant, however, that younger archers sometimes faced off against older competitors! In the Ladies Recurve competition, Lauren shot a solid 653 to rank 3rd overall while in Compound Rebecca and Lenni placed 5th and 7th respectively, all earning themselves byes into the quarter final Head-to-Heads. Lauren soon found herself shooting against the talented Jaspreet Sagoo of Oakfield – in a closely-fought match Lauren claimed 3 points against Jaspreet’s 7. Although this marked the end of Lauren’s run, Jaspreet went on to 4th place overall. Well done Jas! Lenni’s progress was also unfortunately stopped at the quarter’s – she shot 106 points against her opponents’ 138. 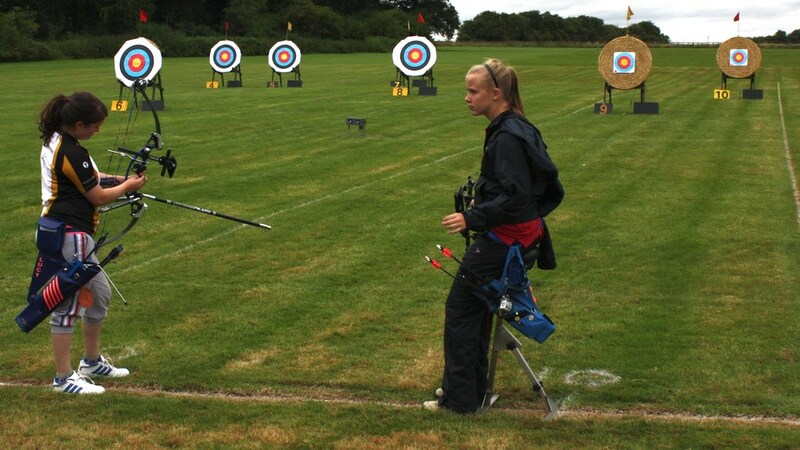 Rebecca continued to shoot well, moving through the quarters into the semis with some excellent results and then on into the Bronze medal match! On this particular day, however, it did not go Rayleigh’s way – 4th place against some very stiff competition was nonetheless another great result for the club! From all accounts (thanks Marcel!) it sounds like a fascinating and challenging day: the format was relatively new to the archers and competing against all ages added to the pressure but once again Rayleigh Town Juniors represented themselves and the club wonderfully. Congratulations to all three! 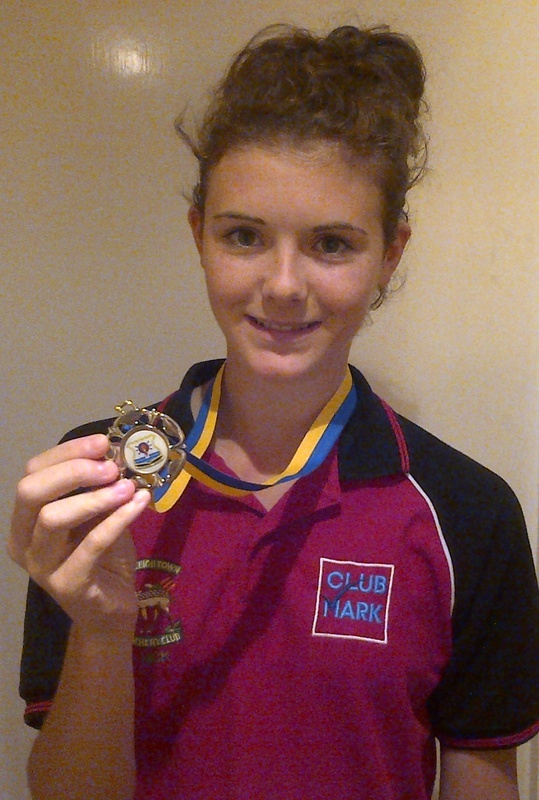 One of our awesome Juniors Josie Skinner travelled down to the South Coast on 4th August to shoot in the Eastbourne Archers‘ 3rd annual Double Rose Open shoot. With low attendance from other archers of her age group, all the junior girls were placed in a single large group. Shooting a Bristol 3 round (50yds, 40yds, 30yds), Josie achieved a fantastic score of 1026 and placed 2nd overall. Congratulations to Josie for her medal success, especially when competing as the sole representative of the club.